Four Way Books, 9781945588273, 86pp. 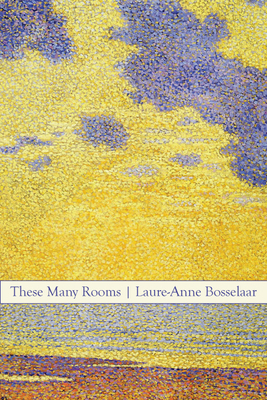 The Poet Laureate of Santa Barbara, CA, Laure-Anne Bosselaar is the author of These Many Rooms, The Hour Between Dog and Wolf, Small Gods of Grief, and A New Hunger, an ALA Notable Book. She is the winner of the 2001 Isabella Gardner Prize for Poetry. Her poetry was featured on Poetry Daily, The Academy of American Poets’ Poem-a-Day, Garrison Keillor’s “A Writer’s Almanac,” and in Orion, Georgia Review, Ploughshares, and Harvard Review. The editor of four anthologies and a Pushcart Prize recipient, she has taught at Sarah Lawrence College and UCSB. Currently, she teaches at the Low Residency MFA in Creative Writing Program of Pine Manor College in Boston.